Ahead of Saturday’s match, we would like to remind all Pollok and Kilbirnie Ladeside supporters that absolutely NO alcohol is permitted inside Newlandsfield Park under any circumstances. 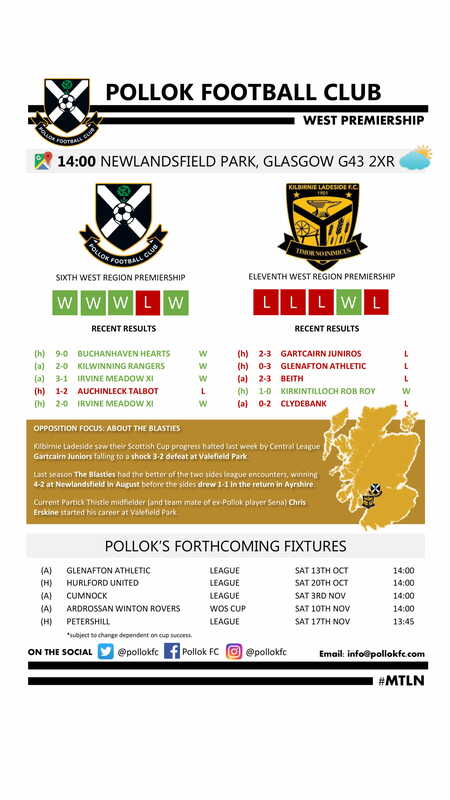 In order to assist Pollok FC officials to manage this, staff from Rocksteady security will be present at Newlandsfield on Saturday. All supporters are cordially requested to comply fully with this, as neither club is responsible for any expense or disappointment resulting from attempts to ignore it. The admission fee is £6 for adults and £3 for concessions (OAPs and under 16s).